Dana Verkouteren - Caricaturist, Courtroom Sketch, & Portrait Artist | Professional artist serving the Maryland, Virginia, and Washington, DC metro areas. 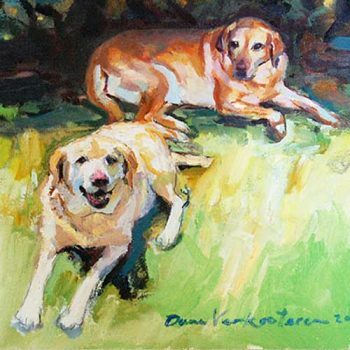 Dana Verkouteren is a professional caricaturist, courtroom sketch artist, and portrait artist serving the Maryland, Virginia, and Washington, DC metro areas. Creating cartoons and humorous caricatures, as well as professional sketches, Dana Verkouteren’s services are available for parties, corporations, and courtrooms. Dana V caricatures have been seen worldwide. Dana V. specializes in Live Drawing, and she depicts realistic images of families and colleagues. Her work appears on major news networks and media outlets, and internationally through the Associated Press. Dana prides herself on her work as a courtroom sketch artist, and is available for private clients who want to capture their courtroom appearances. With more than 30 years of experience, Dana V, caricature artist, provides consistent and quality work to all clients. Whether as a caricaturist creating pencil portraits at parties, an illustrator for corporate art, or a Supreme Court artist, Dana Verkouteren delivers valuable and distinctive artwork. To book Dana for a private event, court date or to inquire about her services, please Contact Caricatures by Dana V.